at center, is an enormous, barred spiral galaxy spanning 150,000 light years across. Discovered by William Herschel in 1786, NGC 1566 is roughly 80,000,000 ly distance from Earth. Immediately below right of the main galaxy is the tiny, blue, face-on spiral NGC 5569. At lower left of 5566 is the lovely edge-on NGC 5560, whose arms are stretched by gravitational interaction with the larger 5566. 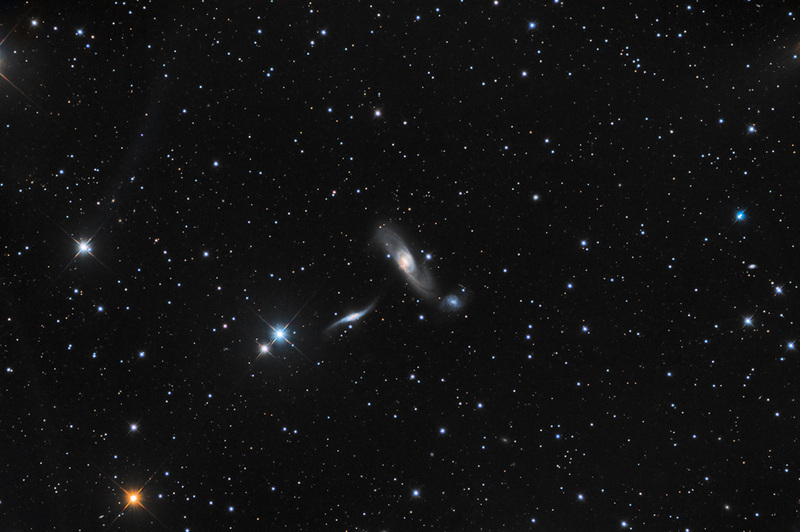 All three galactic partners comprise Arp 286.